PROPAGANDA: Poles protest Internet treaty Anti-Counterfeiting Trade Agreement, or ACTA. 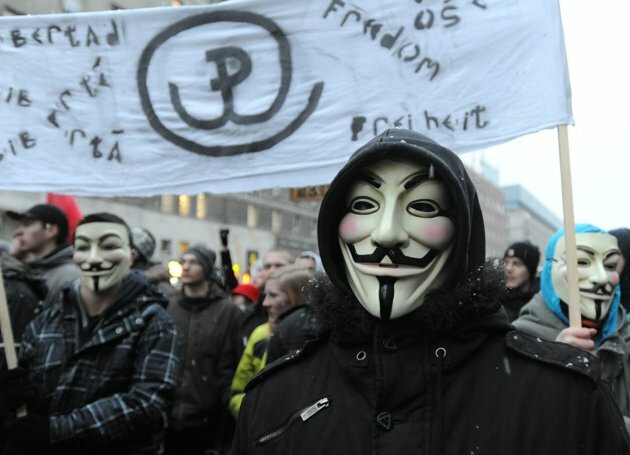 Poles protest Internet treaty Anti-Counterfeiting Trade Agreement, or ACTA. TO THE STREETS: Hundreds of people waged a street protest in Warsaw to oppose the Polish government's plan to sign an international copyright treaty known as the Anti-Counterfeiting Trade Agreement, or ACTA. ONLINE COMPONENT: Several popular websites also shut down for an hour. Normal content was replaced with a statement about ACTA. THE BACKDROP: Poland's support for the ACTA has sparked days of protest, including attacks on government sites, by groups that fear it could lead to online censorship. ACTA is aimed at protecting intellectual property and has wide support from producers of music, movies and goods enjoying copyright protections. Michael Jackson -Banned Video: WHO ARE 'THEY'?